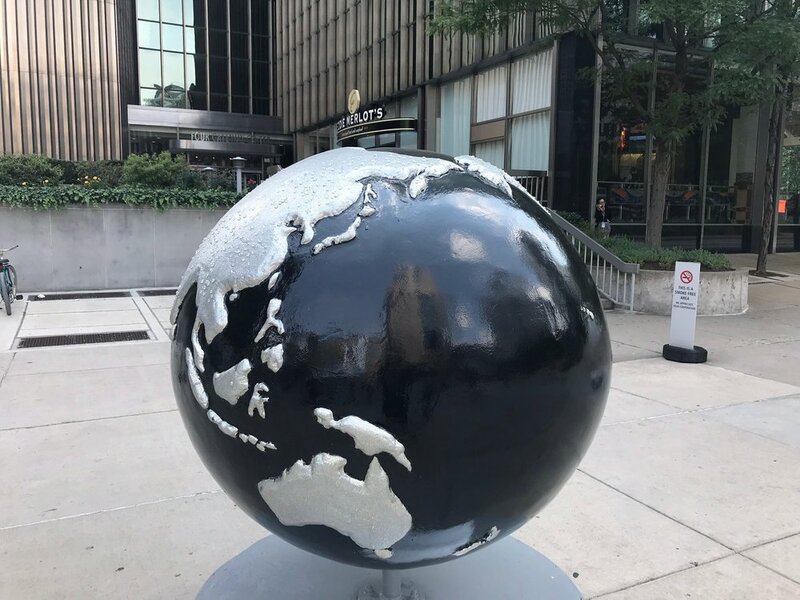 Thirty Globes have popped up around downtown Pittsburgh to help bring awareness to solutions for Climate change. Cool Globes began 12 years ago and its stop in Pittsburgh is the 20th exhibit. 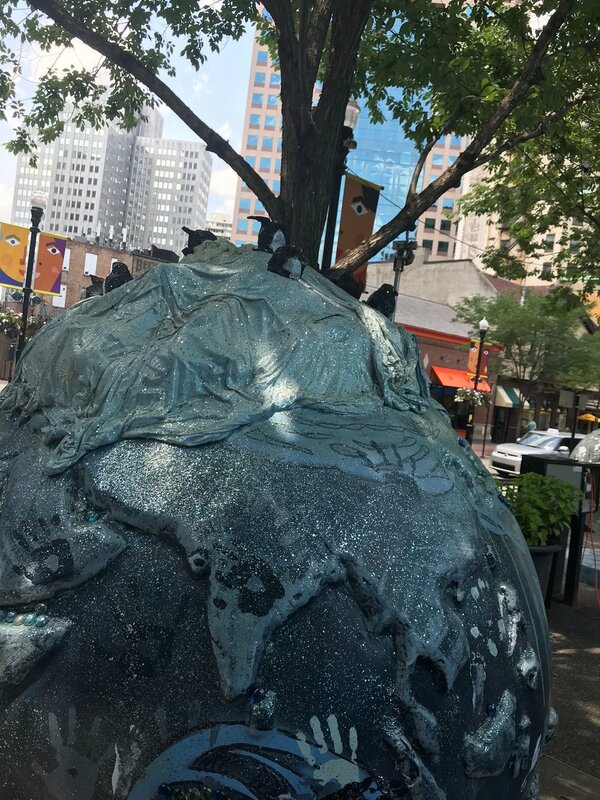 The Cool Globes can be viewed in Market Square, PPG Plaza and Gateway Center. Each globe weighs a ton and three local artists donated globes to the exhibit. Ashley Kyber worked with CAPA students and kids from her neighborhood to create a globe that shows community engagement as the solution to climate change. It is covered in colorful handprints, glitter and topped with Penguins. Lindsay Wright created a globe that honored Rachel Carson a local hero and encourages to buy locally to avoid pesticides. Her globe is interactive and the resin bees on top house dry food. Katy DeMent designed a globe with thousands of shards of mirror that emphasized the change starts with you. Lastly, a special globe was debuted was a globe with a Pens logo and the words “Don’s Let the Ice Melt”. 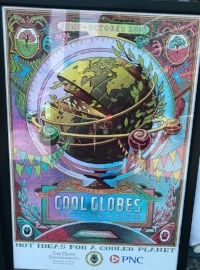 More information about Cool Globes can be found at http://www.coolglobes.org.